Your family deserves a home free of pests. 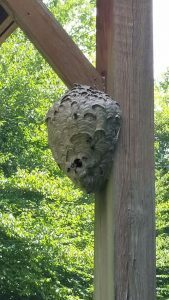 Critter Wranglers, LLC offers effective, high-quality pest control services that will help rid your home or business of unwanted insects and animals. Our pest control company uses methods that are both safe and effective for lasting results! We are a family–oriented company (you should be able to tell that by our name) specializing not only in pest control, but also in wildlife control, humane animal trapping, and more. Keeping your family safe from pests and harmful chemicals is our highest priority. We use care and precision when we apply only the safest pesticides needed to solve your problem. Everyone has different needs and we will tailor our services specifically to yours. Call our Top Rated Local® pest control team for a free quote at (865) 229-8446. If you are having more severe pest problems occurring on a consistent basis, you’re experiencing a cockroach infestation of any size, or are living in multi-unit housing, a monthly service may be needed to control your pests. One of the best parts of a monthly pest control service for us is that we get to know our customers well and on a more personal level. While we are determined to get rid of your pest problem, we love building lasting relationships with our customers. These relationships have been very rewarding as we have seen children grow and become customers themselves! In general, quarterly services will keep most customers happy with the delivered results. Quarterly pest control does cost more per service, but is less expensive over the same period of time than a monthly service. The length of time between services means that we must use different pesticides and techniques to ensure that your home or business stays pest–free. All of this accounts for the additional cost per trip. One–time pest control treatments are for those pest problems that seem to pop up once a year or just happen occasionally! Flea control is a good example of a service that may only be needed once in a home. 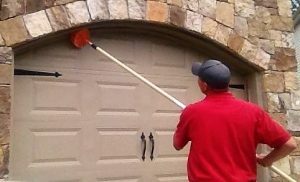 We also perform plenty of ant control in the spring and summer as a one-time or yearly service. This is a very popular pest control service due to the extended control. In many cases, we can stop the ants for six months or more with one treatment! We understand that our customers lead busy lives and that meeting the exterminator during the day once a month can be a hassle! Many of our customers take advantage of our outside services to eliminate their pest problems. We will come out and perform a thorough pest control treatment of the building’s exterior to prevent most insects from ever making their way inside. 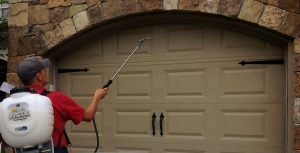 Most insect problems can be managed with an exterior pest control service and we will gladly come back and treat the interior of your home or business if a problem arises that cannot be handled from the outside. These services are effectively performed on either a monthly or quarterly basis depending on your specific needs. Indoor pest control services are needed for addressing some pest issues, such as German Roaches, Brown-Banded Roaches, Fleas, and Mice, to name a few. We also have customers that simply prefer this more traditional approach to pest control. This service falls under our regular business hours, so please keep this in mind when requesting traditional pest control treatments. 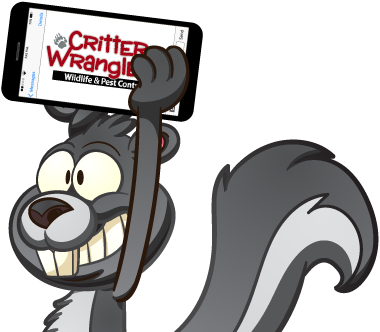 Critter Wranglers, LLC offers pest control services in and around Powell and Knoxville. Our lead pest control technician has 15-plus years of experience managing residential, commercial, and municipal accounts. We are unique in the Pest Control Industry because our technicians are trained to handle all of your pests, including wildlife. When we come out for a service, we will look for any and all issues you may have, ranging from ants, silverfish, centipedes, roaches, and rodents to raccoons and skunks. If we notice a wildlife problem, we offer effective wildlife control treatments, including animal trapping and animal proofing. Regardless of their size and species, in most cases, we handle all types of pests and wildlife! We operate out of Powell, Tennessee, and service homes, businesses, and organizations in and around the Greater Knoxville area. We never attempt to push you into a service that you don’t need. Contact us today or reach out to us online and we will give you as much information as we can to help you make an informed decision on the service that is right for you!